China has just revealed a new wheeled 8x8 anti-aircraft gun system equipped a radar, optoelectronics systems and a single 35mm autocannon. 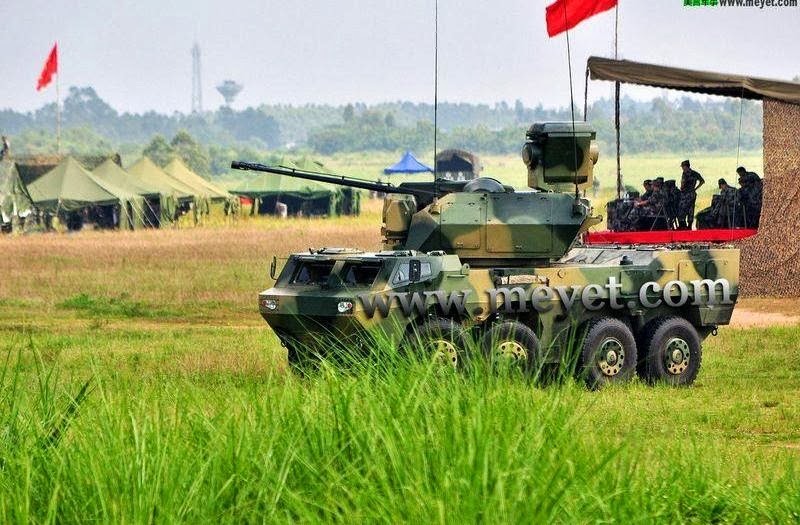 The new Chinese wheeled 35mm gun system is another version of ZBL 09 8x8 wheeled armored vehicle. 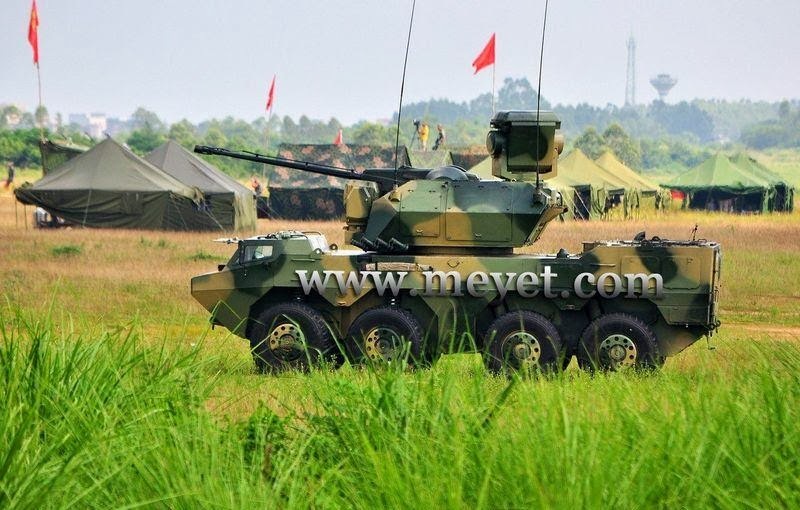 Meyet said new anti-aircraft gun has rate fire 1.000 round/minute, range maximum up to 4.000m. The basic ZBL 09 is a 21 ton vehicle that has a crew of three and carries seven passengers. The vehicle is 8 meters (25 feet) long, three meters (9.2 feet) wide, and 2.1 meters (6.5 feet, to the hull roof) high. It's amphibious and has a top water speed of 8 kilometers an hour. On roads, top speed is 100 kilometers an hour, and max road range on internal fuel is 800 kilometers.